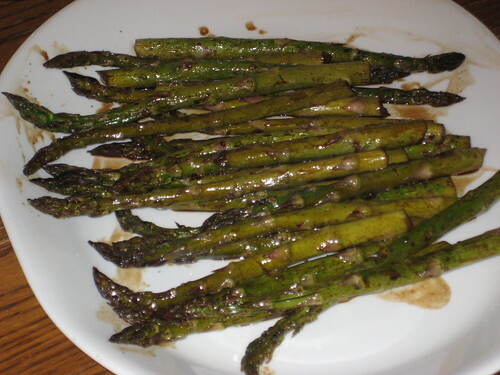 This recipe for grilled asparagus worked well under the broiler. We enjoyed this a few weeks ago when it was way too cold for grilling out. 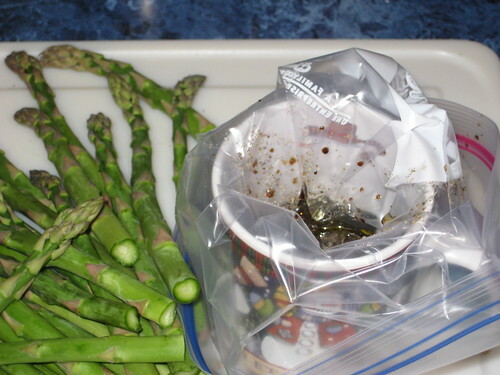 Pour the marinade ingredients into a zippered plastic storage bag. I folded the bag over the edge of a mug to hold the bag up while I measured the ingredients. 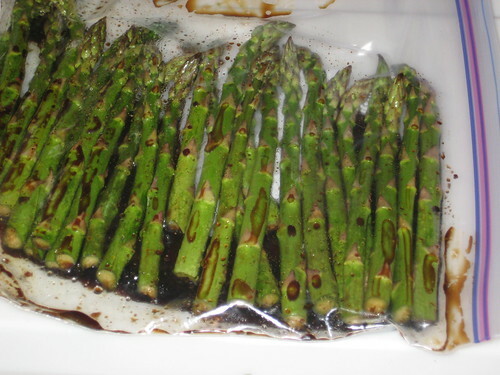 Add the asparagus to the zippered bag and marinade for 30 minutes. I put the asparagus on a cookie sheet lined with foil and set it under the broiler for about 8 minutes, turning the asparagus once. Delicious. Great flavor. I think it would be even better with toasted sesame seeds on it. Next time. 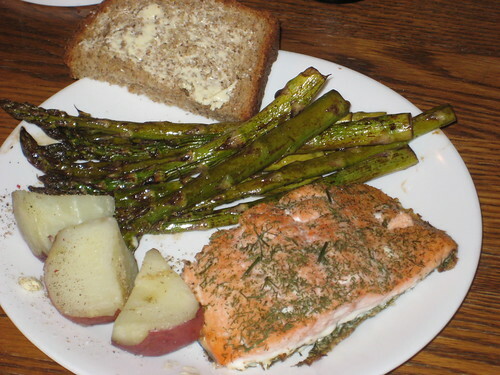 Supper was baked salmon with dill, steamed red potatoes, broiled asparagus and freshly baked multi grain bread. 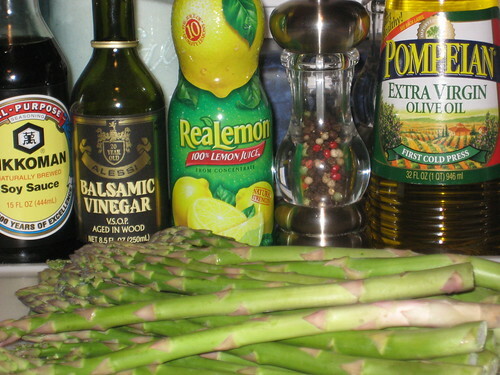 When asked, DH said yes, definitely make the asparagus again. 🙂 Next time, I think I’ll cut the asparagus into bite size pieces before marinading. Easier to eat. And when warmer weather finally shows up, we’ll try it on the grill. 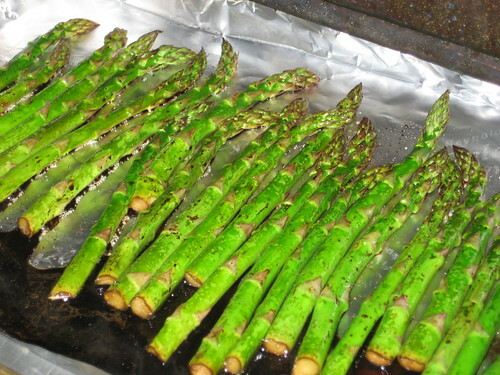 For grilling, I think I’d slide the whole asparagus onto two skewers, ladder fashion. They would be easier to flip on the grill. This entry was written by ~~Rhonda, posted on March 12, 2009 at 3:51 pm, filed under cooking, Recipes and tagged grilled asparagus, recipe. Bookmark the permalink. Follow any comments here with the RSS feed for this post. Post a comment or leave a trackback: Trackback URL.